Opening windows to get a breath of fresh air is great during warm and muggy summer days. Parents need to be aware of potential dangers. The Trauma Programs of the Montreal Children’s Hospital treats on average five young children (18 months – 4 years) per year who sustain injuries from a fall from screened windows. fractures of the spine, limbs and skull. a varying severity of brain injuries. Screens are flimsily made; they are a weak barrier and give a false sense of security. They are great for keeping insects out but are not strong enough to keep children in. 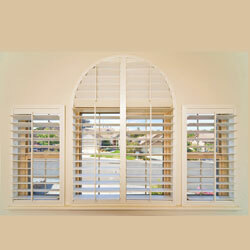 Use window guards, which create a protective barrier, or window stops that limit the amount the window can open. Windows should not be able to open more than 10 cm (4 inches). These devices are available at hardware stores. Do not put furniture in front of the window. Young children are most at risk, as they are curious and can easily climb onto the furniture and have access to the window. Check to see if there is a municipal window safety by-law. If so, tenants living in an apartment should make sure that the landlord places window guards or stops. New homeowners should make sure that the contractor places window guards or stops. Parents need to be aware of the potential strangulation hazards that blind cords pose to babies and young children. Supervise your baby and young child at all times. Securely tie-up blind and drapery cords or cut them so they are out of the reach of children. Do not place cribs, dressers and other pieces of furniture near windows to prevent your child from climbing and getting tangled in blind cords that are left hanging.